Have a great start into the new year and may it be equally amazing or even better than 2012! Here is to a great new year! 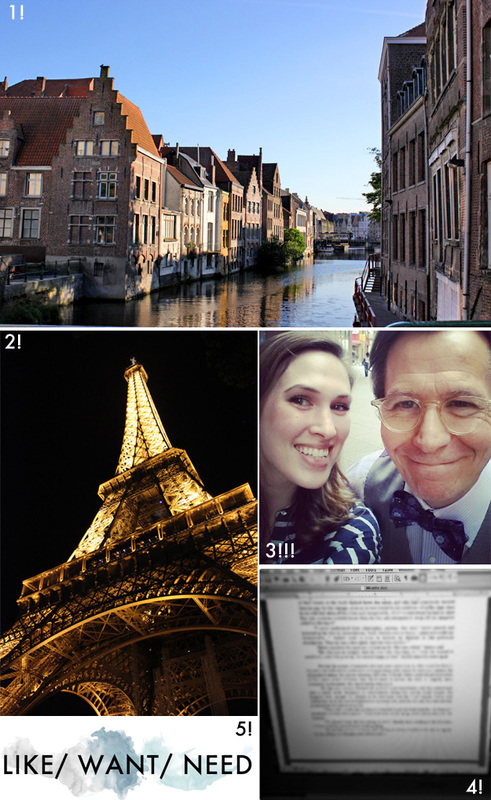 Your top five is really good, Paris, Belgium, writing a book . . . I think I need to make a goal/resolution to be able to come up with a top 5 for 2013! I just can’t think of what I would add to my top 5 for this year – it was a good year but not groundbreaking or too exciting, though that can be a good thing! This list is amazing, Erin. My favorite part is the fact that we all got the wonderful opportunity to travel the journey with you. Sappy? I guess, but I mean it. 2012 has been a great year, for sure. I will have to think about my own top five. Though, I’m certain this crazy blogging journey will make the list. You have a great weekend too, Erin. You’ve earned it! I didn’t even realize that you’ve been posting every weekday! I guess I just like every post that much! Paris two years in a row is a dream! Can I start traveling with you? You should link up this post to my Favorite things link up tomorrow!! I found you through Ashley’s Favorite Things link up! Looks like you had an amazing year this year, as did I! I’m hoping next year will be just as great! I love your blog and writing style and look forward to reading more, take care :) and happy new year!!! Erin, no one I know has a celebrity encounter (and picture) that beats yours. :) It has been a real pleasure reading your blog this year! The husband and I are going to Belgium and Paris later this year! So glad you loved it!! Good luck with your book and Happy New Year!! You’ve had such an eventful year! Way more eventful than me! I’m so jealous of all the cool things you got to do! Well done you! That’s an amazing achievement, you have a lot of discipline. Here’s to more posts everyday in 2013. BTW I’m going to ignore the fact that our meeting was not in the top 5 (sorry Lauren). Oooops looks like I just stopped ignoring it, ha!